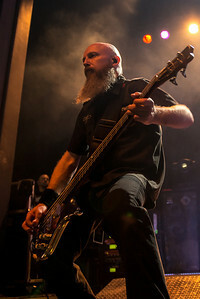 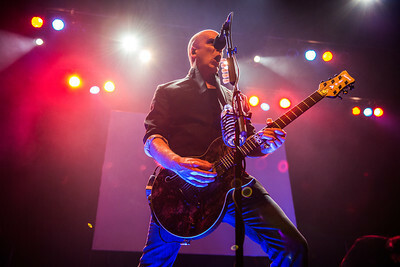 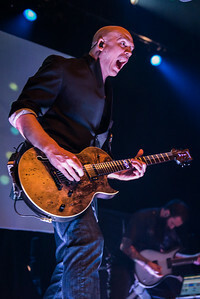 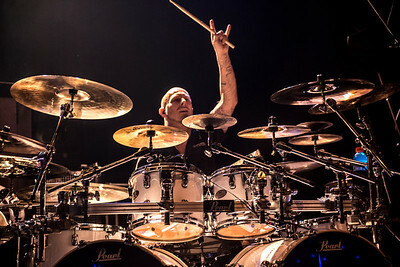 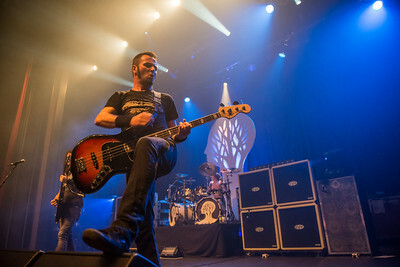 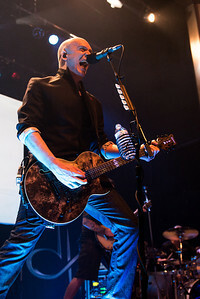 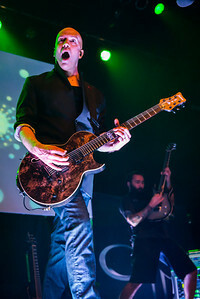 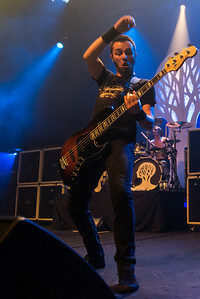 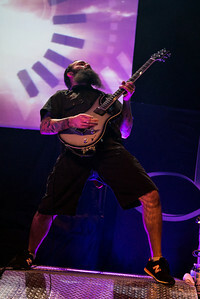 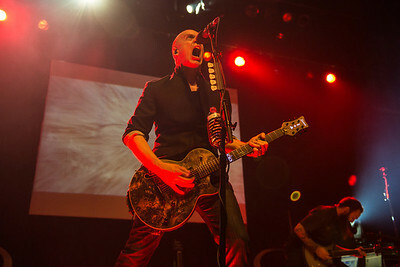 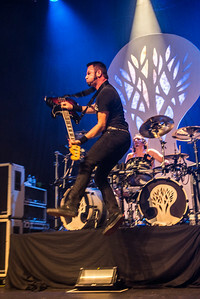 The Devin Townsend Project and Gojira performed incredible sets to a sold out crowd at The Vogue in Vancouver on January 19th, 2013. 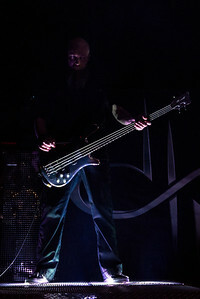 Before the lights kick in, a glow rises up from the platform, illuminating Brian Waddell like some kind of cyborg; which he may very well be. 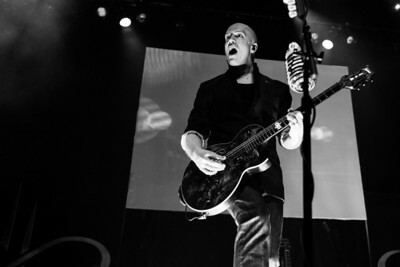 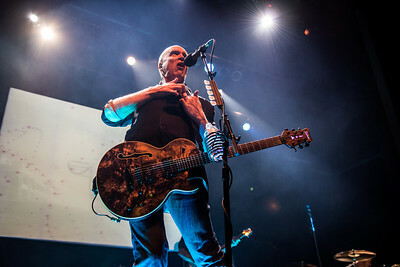 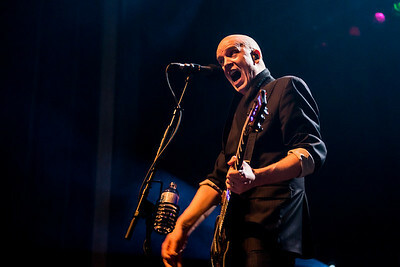 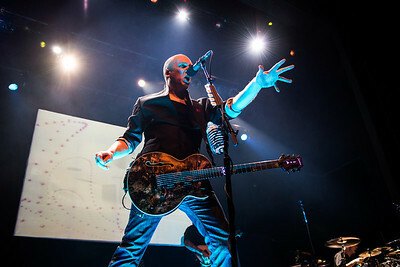 Devin Townsend preaches to the congregation. 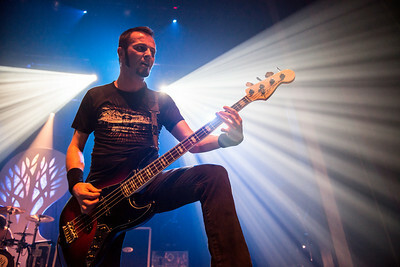 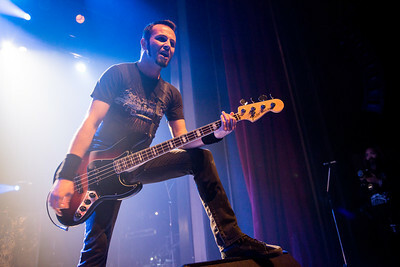 Brian Waddell and his chrome bass. 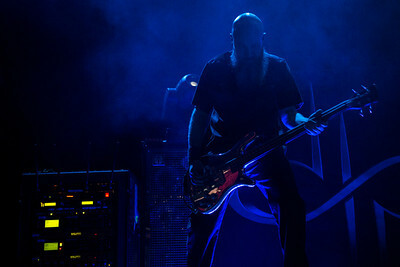 Dave Young graces his platform. 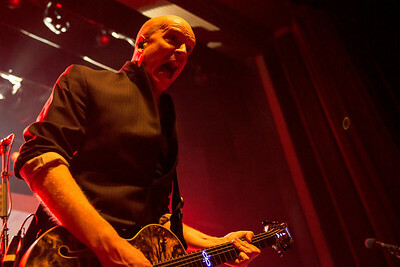 Even though this is very washed out in red, I think it compliments the look of rage in his expression. 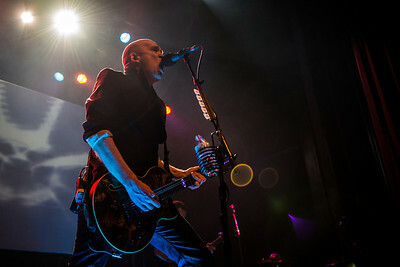 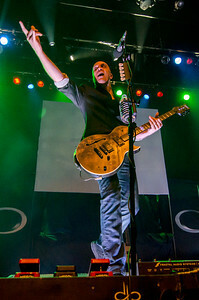 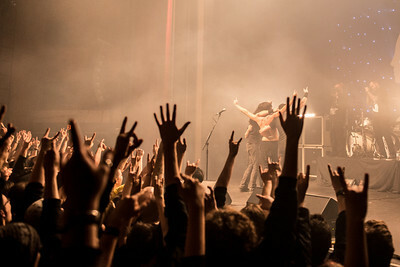 Devin Townsend tosses horns to the crowd. 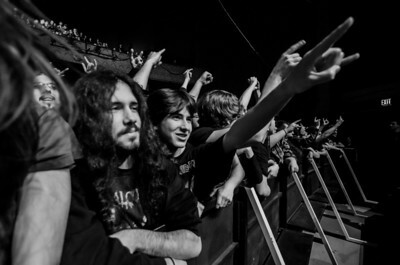 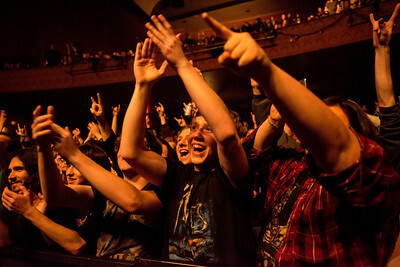 The crowd is here for one thing and one thing only....METAL! 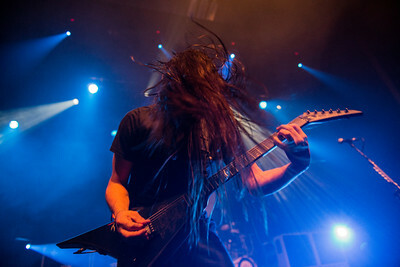 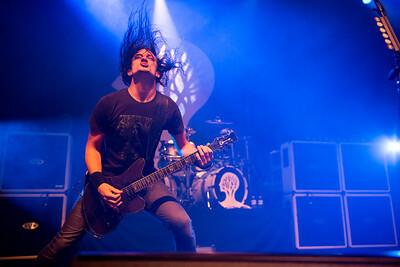 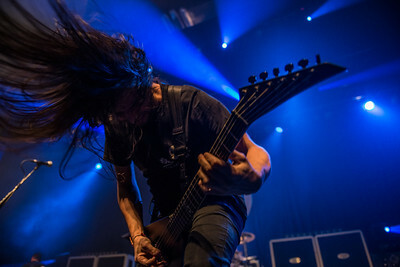 Joe Duplantier starts off the show with Explosia as he tosses his hair around. 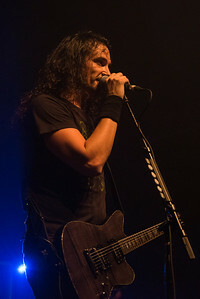 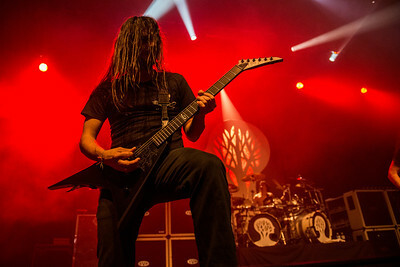 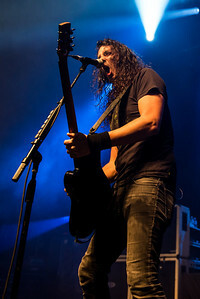 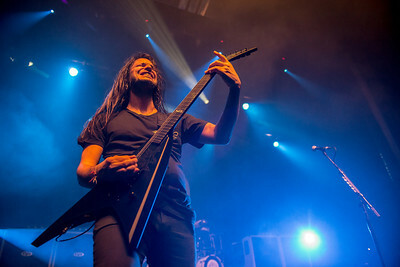 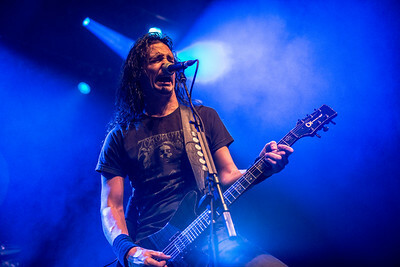 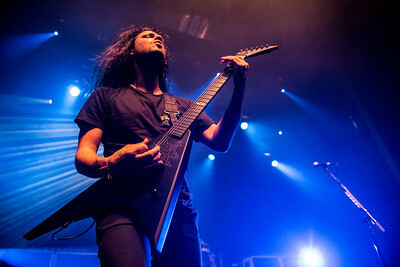 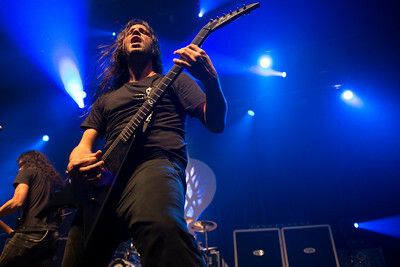 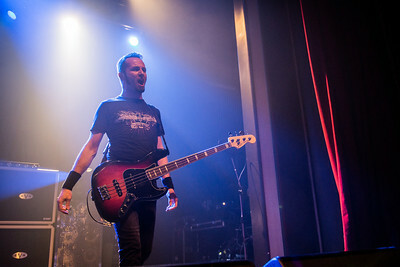 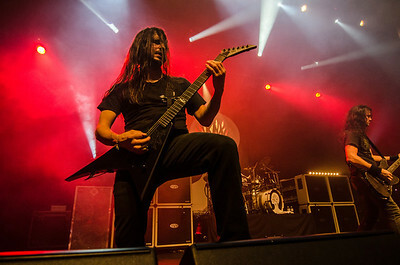 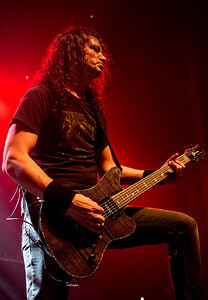 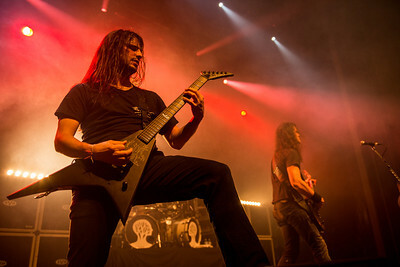 Joe Duplantier sings his heart out. 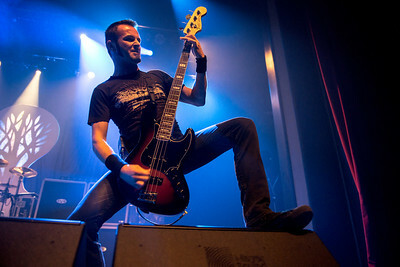 Awkward as this looks, Jean-Michel Labadie lands without injury.